Liberal Education and The Production of Fine Wine, an article by Christopher B. Nelson appearing in the Imaginative Conservative. An article entitled The Grace of Bourbon, appearing in the Imaginative Conservative, by Michael Baruzzini. Recently enjoying the discovery of some “lesser composers”, including one named Joachim Raff (1822-1882). Once hailed as the greatest symphonist of his age, this is his 7th Symphony, “In the Alps”, dedicated to his homeland of Switzerland, which premiered on my birthday many years before I was born. Still, I’ll accept it as a birthday gift. Lovely, enjoyable music! 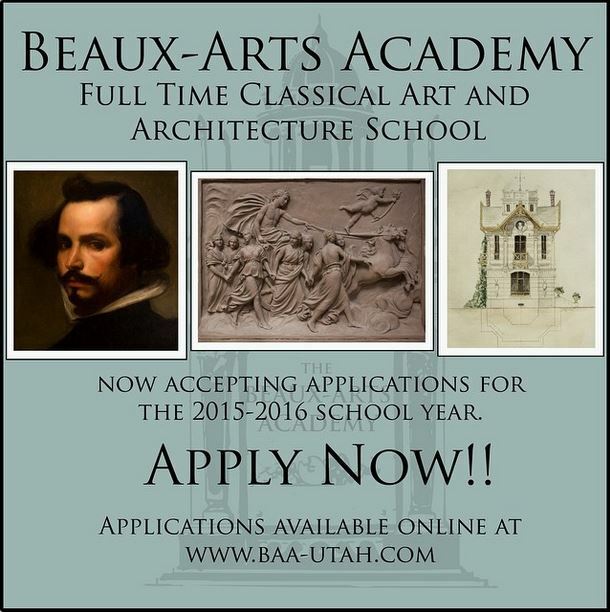 If you or someone you know is interested in getting a great classical education in art or architecture, the Beaux-Arts Academy has two wonderful programs: a 4 year classical art program learning both from and like the masters, and a 9-month intensive classical architecture program learning how architecture has always been intended to be taught– as the mother of the arts. For more information email james.beauxartsacademy@gmail.com . Art does not merely imitate nature. Art imitates grace perfecting nature. Contemplation ultimately reminds us that every point of the finite is open to the infinite. And if the two can and do fully interpenetrate, then the old maxim that art imitates nature (in the analogical sense) can be more profoundly understood and restated as art imitates grace perfecting nature. The role of art thus becomes a visual safeguard of gratuity over-against every functionalism or reductionism or essentialism, a continual reminder that everything is gift, and that our every response should be one of gratitude (for art is essentially a response of gratitude for creation arising from a love of beauty). 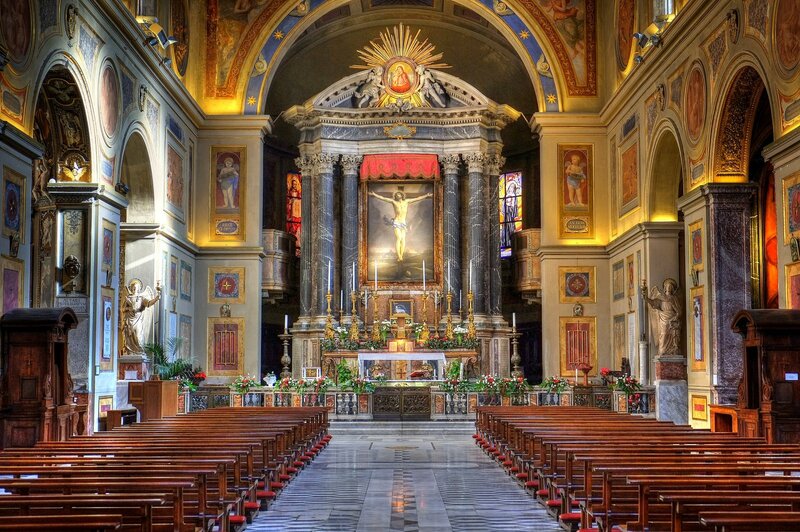 It is here that sacred art and architecture are called to bear specific witness by calling the individual and the community to a universal act of gratitude in the imitation of the Christological form through the highly personal, specific, ritualized form of the liturgy.